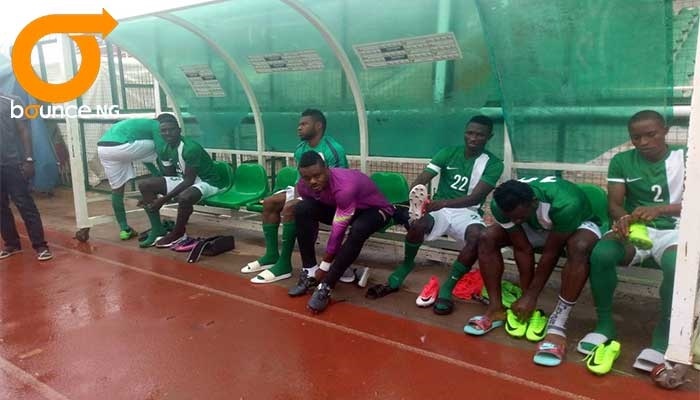 Super Eagles in training ahead of CHAN . There are four pots of four teams each, and countries in the same pot will not play each other at the group stage. Super Eagles have been placed in pot 2 ahead of Friday’s draw for the African Nations Championship Morocco (CHAN) 2018. The draw will be held at Sofitel Rabat. Nigeria is in pot 2 alongside Cameroon, Guinea, and Zambia. The tournament which will run from 13 January to 4 February 2018, will be played in the cities of Casablanca (Group A), Marrakech (Group B), Tangier (Group C) and Agadir (Group D).